In October, 1956, there were armed conflicts in distant places like Budapest, Hungary, and the Suez Canal – events that would have future implications for the dissolution of Soviet Union and elusive peace in the Mideast. But in the U.S., Americans were seemingly far removed from these incidents and economically revved up on inexpensive gasoline, a wide-open national highway system and the American auto industry’s optimism – an optimism reflected in the grand apogee of big cars with big engines, big fins and supersonic design themes. These were the Fabulous Fifty-Sevens, cars that might’ve been seen in local auto showrooms in October, 1956 – first year of the Hillsborough Concours d’Elegance. 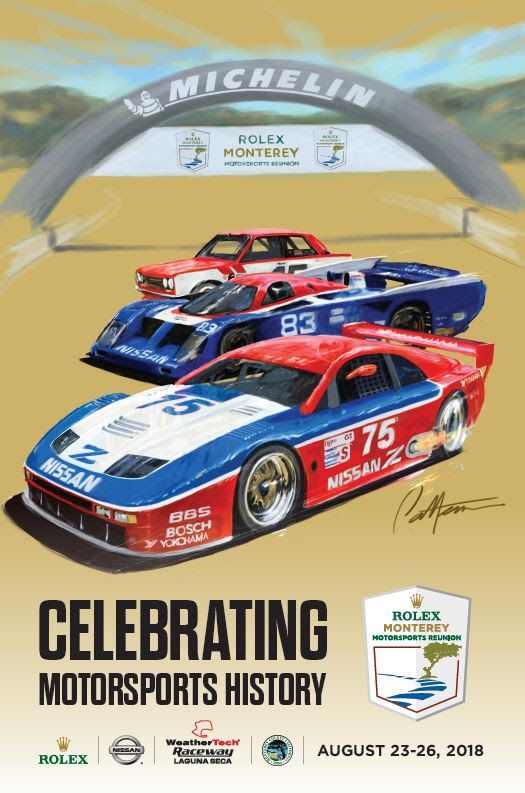 And for the 57th edition of this, the world’s longest continuously-running vintage automotive event , the Hillsborough showing at Crystal Springs Golf Course this Sunday, July 21, will feature a lineup – with one significant exception – of these Fabulous Fifty Sevens. For Chrysler enthusiasts like William O’Brien of San Mateo, his 1957 Imperial Crown Coupe is a rolling tribute to the daring design and audacity of the company’s then-design chief, Virgil Exner, a well-respected Detroit automotive designer who is credited with creating Chrysler Corporation’s “Forward Look,” a distinct departure from the company’s dowdy and boxy look in the late ‘40s-early ‘50s. Among Exner’s other triumphs was creations of the sleek and powerful Chrysler 300C series in ’57. 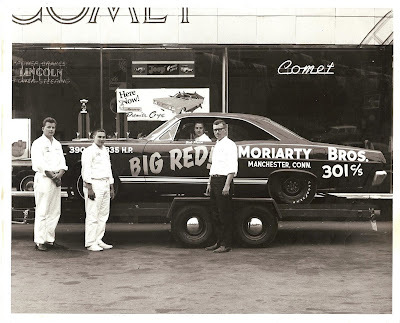 “This was the peak,” says O’Brien, who can tick off a bunch of Mopar history – including the advent of company drag racing teams like the Ramchargers. “This car sought me out – it followed me home,” O’Brien says. He acquired it in 1980 after it was discovered abandoned in a pier warehouse in San Francisco. It has undergone restoration (“Never ends,” O’Brien says), but not to original (the car is not being judged). Other Fabulous Fifty Sevens on display include a ’57 Chevrolet Nomad, entered by Harry Hambly, Los Altos; ’57 Ford Fairlane Sunliner, John Kingston, Novato; ’57 Porsche 356A, Lorraine Kratzer, San Francisco; ’57 Cadillac Eldorado Seville, Ron Laurie, Palo Alto; ’57 Ford Thunderbird, Hal and Becky Schuette; ’57 Ford Thunderbird, John Tragoutsis, San Francisco; and ’57 Lancia Aurelia B24S Convertible, David Word, San Franicsco . The anomaly is ’57 BMW Isetta 300 entered by Brian Powers of Nevada City. In many ways the Isetta series was a preview of micro-cars yet to come, both in the U.S. and in Europe. Hours for the Hillsborough Concours d’Elegance are 10 a.m. – 4 p.m. Admission is $30 (kids 13 and under are free). There is a special $75 patron’s admission, which provides close-in parking, access to the VIP tent, food and beverages. Beneficiaries of the event are Autism Speaks, the 49ers Foundation and the Hillsborough Schools Foundation.